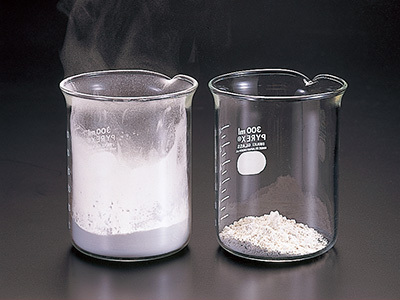 Special Treatment Antimony Trioxide | Nihon Seiko Co., Ltd. 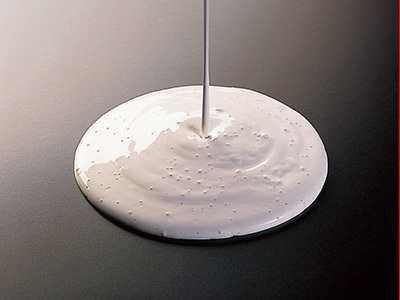 The particle surface of various types of antimony trioxide is chemically treated to be moisturized to prevent dust emission and for high dispersion. Silane coupling treatment is used for the flame retardant grade, and ethylene glycol treatment for the catalyst grade. The treatment chemical can be chosen at the user's option. This grade is antimony trioxide dispersed into water at 60%, and has good dispersibility into various latex and emulsions. This grade is stable in its quality. This grade is a liquid-type flame retardant and includes antimony trioxide and halogenated flame retardant. High dispersibility is seen in particular of hydration materials. This grade is an inorganic flame retardant, which is a mixture of antimony trioxide and a compound of zinc etc. It is efficient in flame retardant applications and generates less smoke. It is suitable for plastics that require good coloring and transparency.